While choosing the balance transfer option, you are transferring all your credits to one card. Using a balance transfer option is beneficial if the final costs will be less as compared to the other option. Transferring all your balance to one card is a good option as it will simplify your payments. You will have to pay the debts of only one card. It will also save a lot of time that is usually spent arranging the payments of different cards. It is possible that you forget your payment when it comes due and have to pay late payment charges. In this way, not only your cost will increase but late payment will also impact your credit history. After transferring the balance, discard all the old cards otherwise they will pile up your debt. You can avail this balance transfer offer not just to transfer credit cards balances but other credits like monthly house installments and other payments too. It can make the whole life easier. Discarding old cards is also beneficial for your credit history. 0% cards are not available to everyone. They might seem attractive as you will not be paying any interest for a year or less depending on the offer given by the company. But it is not possible that you apply for it and get it. You need to have a good credit history to avail this offer. If you have a bad credit score you might not be eligible for this offer. 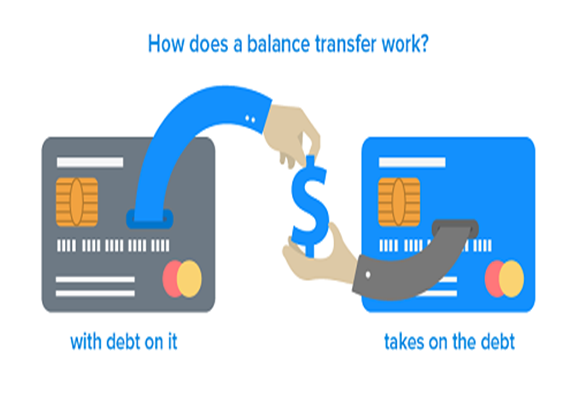 Balance transfer is not an option that is free of cost. You will be paying some amount in terms of balance transfer fee. This fee depends upon the amount of money you are transferring. Some companies introduce 0% cards where you do not have to pay any transfer fee but this offer is mostly given while introducing a new credit card to gain customers. One thing to consider is the amount of money you will save using balance transfer option. It is beneficial if the balance transfer fee is less than the total interest charges you have to pay on all the payments. It is possible that you transfer the balances to one card to get benefit from the lower or zero interest rate but this zero interest rate only applies to the amounts transferred and another interest rate applies on new purchasing. So you need to consider all these factors.